Artificial Intelligence (AI) is the branch of computer science that deals with the simulation of intelligent behavior in computers. The term was first coined by a group of researchers in the year 1956. Though application of Artificial Intelligence has been more rampant, still in poor countries with low resource settings, the use is still lying nascent. For that the needs and opportunities have to be deployed for the optimization of public health services. In 2017, the United Nations (UN) convened a global meeting to discuss the development and deployment of AI applications to reduce poverty and deliver a broad range of critical public services. More recently, another UN meeting including various stakeholders to assess the role AI in achieving the Sustainable Development Goals (SDGs) was discussed. Some experts opine that Artificial Intelligence acts intelligently in several aspects like a) works according to the appropriateness of circumstances and goals b) changes flexibly with the changing environment and goals c) learns from past experience d) works within the limit of perceptual and computational limits. AI enables computers to mimic the cognitive function of human minds, by using AI to review vast sets of real-time data, health experts can identify at-risk populations for any number of chronic diseases. It will eventually decrease the disease burden. Simply to say AI is all about taking advantage of the fast pace that computer can process information to draw insights. It can help detect threats before traditional mechanisms and help us understand what kind of interventions prevent disaster & make us healthier. Artificial General Intelligence is the ability of a machine to represent the human mind and perform any intellectual task that a human can perform. It was the original focus of early AI research and the predominant representation of AI in popular culture. Artificial Narrow Intelligence represents the ability of a machine to perform a single task extremely well. Mostly all AI applications are based upon artificial narrow intelligence. 1. Machine Learning: It is a method for automating data analysis by using algorithms that iteratively identify patterns in data and learn from them. Machine learning applications are generally classified into three broad categories: (1) supervised learning, (2) unsupervised learning and (3) reinforcement learning. 2. Expert systems (Knowledge Based System): The process by which expert system is built is known as knowledge engineering. It consists of a knowledge base and a reasoning engine. It helps human to approach complex situation with high degree of uncertainty. The logic system works for improving chronic conditions with highest possible accuracy. This has been used by researchers in South Africa to predict cholera outbreak. 3. Natural Language Processing: It aims to bridge the divide between the languages that humans and computers use to operate. 4. Automated planning and scheduling: It is a relatively nascent branch of AI focused on organizing and prioritizing the activities required to achieve a desired goal. 5. Image and signal processing: It can also be used to process large amounts of data from images and signals. Steps in image and signal processing algorithms typically include signal feature analysis and data classification using tools such as artificial neural networks (ANN). 6. Health informatics and electronic medical records (EMRs): Health informatics describes the acquisition, storage, retrieval and use of healthcare information to improve patient care across interactions with the health system. Health informatics can help shape public health programs by ensuring that critical information is available for making sound policies and program decisions. EMRs, which are digital versions of patient and population health information, are an important source of data for health informatics. 7. 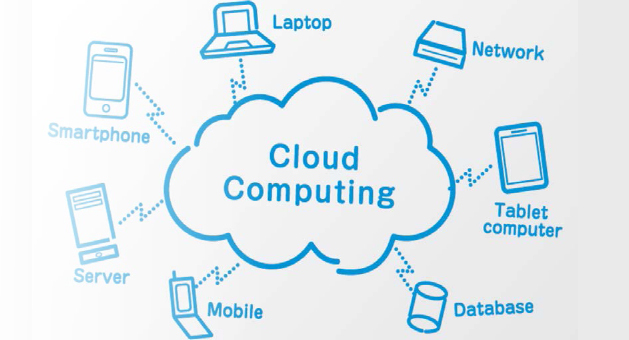 Cloud computing: It refers to the use of a network of remote servers to store, manage, access and process data rather than a single personal computer or hard drive. While EMRs maintained in the cloud with adequate privacy and security precautions, can be used with a multitude of data related to public health. The intervention has been found to be effective in low resource settings where the IT infrastructure is not that much developed. 8. Mobile health: mHealth uses mobile and wireless technologies to achieve health objectives. The rapid& easy availability and expansion of mobile phones in low-income countries has created several opportunities for using these technologies to support health efforts. Mobile phones have been used by community health workers to improve the provision of health services within resource-poor settings. These tools can further engage and empower the public, changing how we communicate in public health. Smartphone and mobile applications are tools that could facilitate healthy decision-making by monitoring behaviors and collecting personal data such as mental health and social networks. 9. Cross Sectoral Data Application: It is useful in identifying social inequities, epidemic forecasting similar to the Google Flu tracker. AI is also useful in Integrating AI in Research Processes, Modelling Policy Decisions and its effect on Public Health, universal availability & accessibility of data, Population-level Social Interactions and behavior & outbreak management. Artificial Super Intelligence (ASI) is a novel concept in the field of AI. ASI refers to that level of AI where machines will surpass human cognitive ability and they can mimic human thoughts. But there are still no machines that can process the depth of knowledge & cognitive ability as that of a fully developed human being. For ASI, there are two schools of thoughts. Some scientists think that ASI is a treat to humanity where as some have the opinion that it would be helping hand to mankind. Designing and implementing expert systems for supporting clinical decision making still remains a challenge. Clear definition of clinical problems has to be set for implementation of expert system. Supervised machine learning applications require high-quality datasets that can be used to train machine learning algorithms for identification of risk factors or diagnosis of diseases. In addition, better diagnosis does not permit to access to appropriate or quality treatment options. While remote diagnostics and machine learning applications might help to identify diseases, but the curative services at that point may or may not be executed. There could be also some of the challenges associated with adapting clinical NLP (Natural Language Processing) systems to diverse healthcare settings. Hand written local language health records also pose a big problem in the diagnosis of the diseases. The WHO has advocated for the adoption of standardized medical terminologies or the development of local data dictionaries to address some of these challenges. Weak Communication network, IT platform pose difficulties in delivering primary health care services in low/poor resource settings. Due the above problems, the electronic health record access becomes a tough job. So, a uniformity in the treatment modality can’t be assured in these poor resource settings. There is a sense of hesitation to share, store, and link data from public, private, and quasi-public sectors, as well as between, across, and outside jurisdictions. So for this certain principles has to be set for data sharing. Ethical issues arising due to the AI, the potential abuse of technology may be the greatest challenge for AI for which robust AI principles have to be laid down. Private sector partnership may be creating fear in sharing the data available in HER/cloud computing. So responsible use & privacy standards have to be strictly followed as there may be potential for commercialization of data to produce harm to the society. The AI tools and techniques are still in their infancy stage. Despite the limitations, these tools and techniques are beneficial in providing in depth knowledge on individ-uals’ health and predicting population health risks, and their use for medicine as well as public health is likely to increase substantially in the near future. Privacy, confiden-tiality, data security, ownership and informed consent have to be maintained in the human right lens. Effective imple-mentation will also require understanding the local social, epidemiolocal, health system and political contexts. So in long run the correct & efficient use of AI technologies will definitely help in achieving the health related goals in SDG and attainment of Universal Health Coverage. Malley CS, Kuylenstierna JC, Vallack HW, et al Preterm birth associated with maternal fine particulate matter exposure: a global, regional and national assessment. Environ Int 2017;101:173-82. Poole DL, Mackworth AK. Artificial Intelligence: foundations of computational agents: Cambridge University Press, 2010. Goertzel B, Pennachin C. Artificial general intelligence: Springer, 2007. Wahl B, Cossy-Gantner A, Germann S, Schwalbe NR. Artificial intelligence (AI) and global health: how can AI contribute to health in resource-poor settings?. BMJ global health. 2018 Aug 1;3(4):e000798. Organization WH. Electronic health records: manual for developing countries. Manila: WHO Regional Office for the Western Pacific, 2006.